When it’s time to buy a new (or perhaps your very first) metal detector, Bounty Hunter is often one of the notable brands that people look at. Bounty Hunter is very well-known and is considered a company that will take care of its customers. 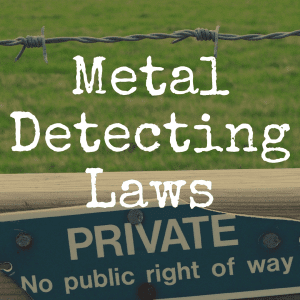 Often, the company has several detectors in any given person’s list of the top 12 metal detectors to own. Therefore, in this article, we’re going to present you with three excellent Bounty Hunter detectors you should strongly consider, and then break down the positives and negatives each device brings to the table. Below, we’re going to list a handful of really great detectors by Bounty, and go into some depth as to why they’ve made our list. Let’s first begin with the Bounty Hunter Junior. 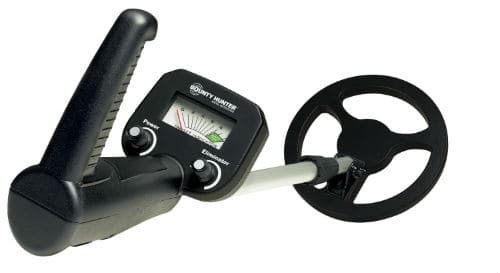 Often, the Bounty Hunter Junior metal detector is considered the best first metal detector, meaning that if you’re about to get into the metal detecting hobby for the very first time, you would be wise to strongly consider this affordable option. The price is usually the first reason people check this machine. It costs less than many toys that children want and this one will help them get exercise and possibly earn a little money from the treasures they find. If you are looking for a new hobby that you and your children can have fun doing together, choose this metal detector for your first machine. The Bounty Hunter Junior only has two dials to set your sensitivity and discrimination levels, so it is very easy to use for anyone. The meter is your target indicator and the detector makes a buzzing or beeping noise when you are near metal. One drawback to this detector is that you cannot plug headphones into it. Serious hunters almost always want to use headphones to block out background noise and keep their searches private. This metal detector would be perfect for anyone that wants to try out the hobby before committing to a large expense. It is marketed for children, but the small size and lightweight design makes it great for anyone. Its biggest competitors on the market are actually toys, so if your child wants a metal detector, for the same price as a toy, you can get this great machine instead. 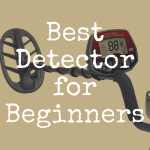 The Bounty Hunter Gold Digger is another reasonably priced detector that is highly rated. 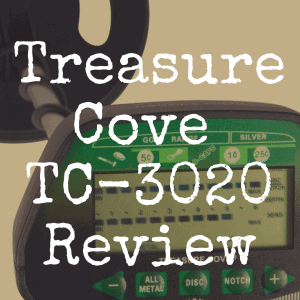 Although the name implies it is especially designed for finding gold, it is a good all-around machine. It will find coins, gold, jewelry and relics. It is very simple to use, with only two dials to set your discrimination and sensitivity levels. The Gold Digger will find coins up to 6” deep and bigger objects up to 2’ deep. If you are looking for large relics, the Bounty Hunter Junior might be the better choice for you, as it finds objects that are deeper than the Gold Digger. It does have automatic tuning and ground balance so you won’t have to worry about changing those settings. At a cost of around $50, it is very reasonably priced and a detector that is suited for newbies at the hobby. One complaint about this machine is that while it is accurate most of the time, it does not have the features that really experienced hunters want in a machine. 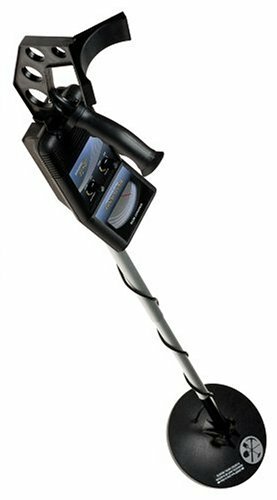 If you want a metal detector you can play with and learn about the hobby, this is perfect for your needs. The coil and shaft are waterproof, but the control box isn’t, so make sure you are careful around water with this unit. It will search beaches, but does have a lot of chatter at times from the highly mineralized soil around salt water. 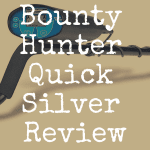 The Bounty Hunter Quick Silver detector is another one of the company’s best sellers. This machine is more advanced than the ones previously listed and would be best for someone that already has experience with detecting. It has four operating modes, will find coins that are 8” deep and larger objects up to 3’ deep. This detector is very lightweight and the operating modes can be easily changed with its push button control. The discrimination mode will eliminate iron and other trash you don’t want. This is a great feature so you don’t waste a lot of time digging up junk you don’t want. It has a three tone audio feature and does have a headphone jack so you can hunt privately. The coil is waterproof so you can hunt in a few inches of water. The stem is not waterproof, so be sure you don’t go too deep into the water. Another wonderful feature is the automatic ground balancing so you won’t have to worry about changing the settings for different types of soil. At $100, the Quick Silver is still a reasonably priced metal detector. The LCD display is easy to understand and features a 4 segment digital target ID. This is considered one of Bounty Hunter’s most versatile detectors and was designed with your comfort in mind. One negative is that this machine has a hard time searching in areas of high, thick grass or tangles of weeds. For it to be accurate it needs to be very close to the ground and these conditions prevent that. It can also be a finicky machine for other areas and may give off a continuous humming noise that can get annoying. The Quick Draw II is another best seller from Bounty Hunter. It has four operating modes and finds coins up to 8” deep and larger objects to 3’. 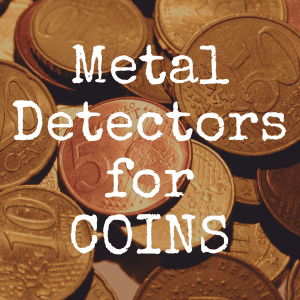 It uses both visual and audio signals to let you know when metal has been found and by using the LCD display, you will quickly know whether it is trash or treasure. It also has three levels of iron discrimination so you can weed out the rusty nails from the relics you want. It is priced at $250, but you can often find it on sale for around $150. The preset ground balance is a favorite feature of this detector as this is something you won’t have to deal with as you search different types of soils. It doesn’t work as well on or near salt beaches and does get overwhelmed in other highly mineralized soil. The Bounty Hunter Junior is by far the most popular metal detector this company designs. Even though it is marketed for children, its cost and simplicity appeal to anyone that wants to learn the hobby. No matter which Bounty Hunter you choose, the company is a good one to deal with, if you should have problems. Many experienced hunters would not consider any other brand when choosing their next detector and their reasonable prices draw new customers all the time. If you liked reading this article, please “like” our brand new Discover Detecting Facebook page! 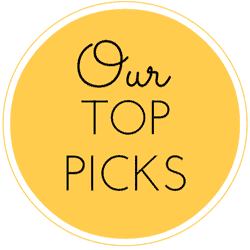 Bookmark Discover Detecting for more great detecting related articles! 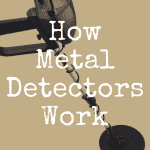 What’s the Best Metal Detector Available?